Background Blitz Collection Screensaver. Containing 263 background blitzes entries from 2003 - 2010. I always follow the "Background Blitz" forum thread and I'm always amazed by the fantastic entries. So I made this screensaver in order to immortalize their great work :-) Options: -Set Background Blitz info on: "Theme", "Date" & "Background Blitz by" are shown. Slider duration is automatically set to 5 seconds and can't be changed. 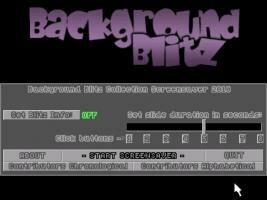 -Set Background Blitz info off: No info is shown, you are able to set the slide duration [1 to 8 seconds]. [ESC] quits the screensaver but due to wait functions this can be a little difficult. So if [ESC] fails just use [ALT][X]. Thanx for hosting DUAL ;-) Updates: 22 Juli 2010: v1.3: * Fixed room bug. 19 Juli 2010: v1.2: * Changed the colour depth from 16-bit (high-colour) to 32-bit (true-colour). * Contributors lists now scrollable. 08 Juli 2010: v1.1: * Removed one BB entry on demand. * Fixed 2 name typos in the list. 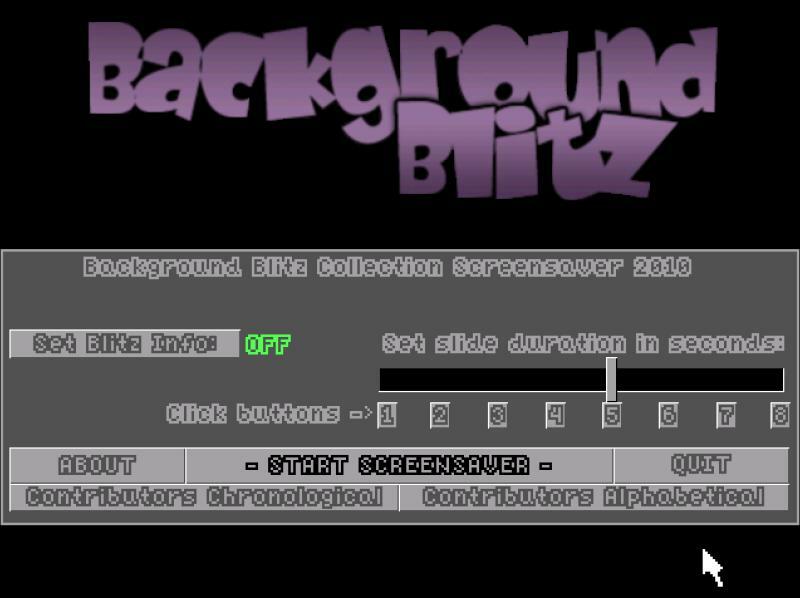 "Does what it says, displays a selection of backgrounds from the blitz but has little in the way of options."